In this study, we investigate in vitro the optical performance of new-design extended depth of focus (EDOF) complementary intraocular lenses (IOLs) (ACTIVE, Cristalens Industrie, France), compared with traditional bifocal ones. 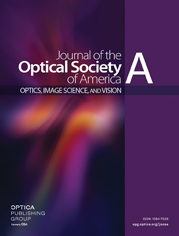 Evaluation of their optical quality was achieved by measuring the point spread function at multiple distances (through focus) using an optical bench. In addition, the modulation transfer function through focus was calculated, correlating our results with actual visual outcomes. Our results may suggest that these new EDOF IOLs, when implanted together, could possibly better control multifocality, offering an increased DOF at all distances.